10.12.12 :: Categories: Indian Point. Tags: alternative energy, Energy Efficiency, energy supply, Indian Point, Natrual Resources Defense Council, NRC, NRDC, nuclear energy, nuclear power, Nuclear Regulatory Commission, solar power, Synapse, Synapse Energy Economics, Synapse report, and wind power. News Types: Press Releases. NEW YORK (October 12, 2012) – In just the last year, New York State began developing at least 25 percent of the alternative electricity sources necessary to replace the Indian Point nuclear power plant, according to a new report released today by the Natural Resources Defense Council and Riverkeeper. The report also provides a detailed roadmap for fully and cost-effectively replacing the aging nuclear facility’s power with equal investments in energy efficiency and renewable power sources alone, with no impact to the reliability of the region’s energy supply. The findings come just days before Nuclear Regulatory Commission relicensing hearings for Indian Point begin next week. The report, Indian Point Replacement Analysis – A Clean Energy Roadmap, was prepared by Synapse Energy Economics, Inc. and assesses clean energy resources in the state, as well as the policies necessary to implement them. This report follows a 2011 Synapse report commissioned by the groups that found there is a wide range of replacement energy options available in the state to reliably and cost-effectively replace Indian Point if its licenses are not renewed. This year’s report reaffirms those findings and follows up with a “how-to” policy guide, focusing solely on efficiency and renewable energy options. New York will maintain a surplus of energy capacity through 2020, even if Indian Point is retired. A new transmission line under construction now and scheduled to come online next year—the 660 MW Hudson Transmission Project—will soon replace more than 25 percent of Indian Point’s 2,060 MW. With the right policies in place, New York could rely on energy efficiency, wind and solar power resources alone to replace Indian Point’s power. The core of this report provides a detailed policy roadmap that describes how the state can secure this clean replacement power. The portfolio of clean energy outlined in this report is expected to have a very small impact on consumer costs, adding an estimated 1 percent to energy bills in 2022 – that’s one dollar a month for the average residential customer. The state already has a number of significant efficiency and renewable projects in the works that can help replace the nuclear plant. This includes efforts like the New York Sun Initiative, which aims to quadruple the amount of customer-sited solar power installed annually statewide by 2013, and the Energy Highway Initiative, which relies in part on renewable and efficiency projects to modernize state’s energy system. Updating the state’s energy efficiency goals to capture all cost-effective efficiency opportunities in order to achieve a minimum electricity savings of 1.5 percent per year. 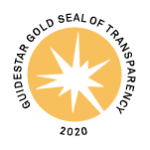 Faster implementation and stronger enforcement of the state’s energy efficiency building code for new and renovated buildings. Expanding the state’s Renewable Portfolio Standard to ensure that renewable energy provides 30 percent of energy statewide by 2016, and increasing that goal by 1 percent each year thereafter. Extending the New York Sun initiative legislatively to run for 10 years with the goal of installing 2,200 MW of solar projects in New York State. Establishing a goal of achieving 5,000 MW of offshore wind projects in waters off or near New York state, and backing it up with siting and long-term financing support for offshore wind. These findings come just days before the NRC’s Atomic Safety and Licensing Board kicks off a series of evidentiary hearings, starting October 15, on the proposed relicensing of the Indian Point plant. The State of New York and Riverkeeper are leading the formal challenge to the relicensing of Indian Point. A related past NRDC analysis, also issued last fall, underscored the need to replace the aging nuclear plant in New York City’s backyard by outlining the costs and consequences of an accident there: bit.ly/zQG25b. It revealed that an accident of a similar scale to the Fukushima disaster in just one of Indian Point’s reactors could cause a catastrophe of far greater scale and cost—and it wouldn’t take a tsunami to trigger it. More common occurrences like thunderstorms, flooding or tornados could cause trouble. The result could be a fallout plume reaching south to the New York City metropolitan area, require the sheltering or evacuation of millions of people, and cost 10 to 100 times more than Fukushima’s disaster. The Natural Resources Defense Council (NRDC) is an international nonprofit environmental organization with more than 1.3 million members and online activists. Since 1970, our lawyers, scientists, and other environmental specialists have worked to protect the world’s natural resources, public health, and the environment. NRDC has offices in New York City, Washington, D.C., Los Angeles, San Francisco, Chicago, Livingston, Montana, and Beijing. Visit us at www.nrdc.org. 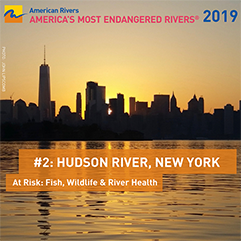 Riverkeeper is a member-supported, watchdog organization dedicated to defending the Hudson River and its tributaries and protecting the drinking water supply of nine million New York City and Hudson Valley residents. For more information, please visit www.riverkeeper.org.